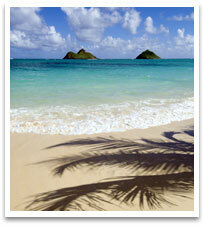 Bainbridge Travel considers the Hawaiian Islands to be the perfect vacation destination year-round. We won’t send you to the Caribbean or Mexico during our summer months to avoid hurricanes and stifling humidity, we recommend Hawaii. We won’t send a family concerned about local food and water to a Central American country – we’ll recommend Hawaii. These islands are easy to reach and always predictable for a perfect vacation experience with no worries about food, water or accommodations. There is a lot to do on Oahu! This is the most populated island and Honolulu is the capital city, major airport and the business and financial center. Oahu is also the military command center of the Pacific. Waikiki is the main visitor center. Beaches on Oahu are perfect for all water sports including swimming, surfing, windsurfing, boogie boarding, snorkeling and fishing. There are many protected swimming areas for kids and other areas to experience high adventure on the waves. 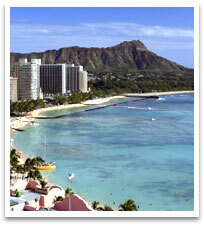 Waikiki is a very central part of Oahu and in past years has been renovated to the highest standards. In all of Hawaii, children (keiki) are of utmost importance. That means there are a myriad of activities for keiki and their families including submarine rides, waterslides, swimming with dolphins, sea turtles, stingrays, sharks and moray eels at Sea Life Park. The Honolulu Zoo and Waikiki Aquarium are outstanding. Other educational and cultural excursions abound. Your kids will never be bored on Oahu! Outside of Waikiki, you can delight in the legendary North Shore of Oahu or spend time snorkeling at Hanauma Bay, a protected marine sanctuary with an abundance of colorful fish. You fly into Kailua-Kona and you feel like you are landing on the moon. Those black lava fields are indescribable; what a first impression! Lava immersed with new vegetation is the exemplary Big Island experience. This contrast is an incredible encounter you really shouldn’t miss. The lava flowing at night is a big attraction but there are many others — Kona has lots of cool little shops and good restaurants. Drive south to Keauhou to check out the snorkeling and sea turtles. The volcanoes Mauna Loa and Kilauea, snow clad Mauna Kea, the Kau Desert, the Puna Fern Forest and all those orchids in Hilo make this a very exceptional destination. In any one day you can drive from sea level to the top of an amazing mountain, watch whales, swim with dolphins, ride horses, camp out in a remote national park, or have a deep sleep in a perfect luxury hotel. Some say the Big Island offers more diversity than any other Hawaiian Island. It is a grand experience, one we always go back to. In addition to the spectacular contrasts there are such a variety of places to stay, from the perfect B & B in Kona to a luxury resort on the Kohala Coast. We haven’t even mentioned the excellent golf courses or described the quaint town of Hilo. Ahh, perfect Kauai -lush, tropical, towering green mountains, ideal. Many of us from the Northwest have embraced Kauai as our own perfect vacation place. Luckily Alaska Airlines now flies to Kauai nonstop. Easy plane changes on other carriers in Honolulu also make Kauai as accessible as the rest of the Hawaiian out islands. Kauai really can take your breath away. It is laid back, stunning, and the spectacular natural environment makes it achingly perfect! There are unforgettable tropical rainforests with scenic views that are astounding. This is a land of helicopter flightseeing tours which take you into the heart of the island. Mountain bike rides down Waimea Canyon are exciting, or how about a hike with unparalleled views, streams, waterfalls, swimming holes and perfect isolation? The Napili Coast and Waimea Canyon have the best hiking trails. Poipu Beach, on Kauai’s sunny south shore, is becoming more and more developed but offers the quintessential island vacation. Delightfully, not as developed as Maui, you will still find a good selection of hotels and condos to fit every budget. The magnificent scenery will draw you back again and again -the stuff dreams are made of. Those humpback whales migrating to Maui every winter are just like the rest of us. They know where to find perfection! 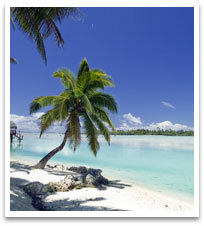 The white sand beaches, clear waters, shopping, sightseeing and outstanding restaurants make this island a standout. Admittedly Maui has become much more populated, but there are still areas deemed ideal to stretch your legs and unwind. 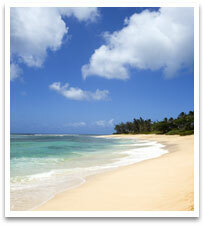 Conde Naste, Travel and Leisure, and other publications choose Maui beaches as the best in the world year after year. There are so many – you can spend each day on a different beach if that fits your style. The road to Hana will stay with you forever (600 hairpin turns with amazing waterfalls and tropical rainforests around every curve), and once you arrive the quiet side of Maui will embrace you. This island produces sugar, pineapple, cattle and horses. Haleakala is the largest dormant volcano crater in the world and you can hike, bike or horseback ride right into it. Lahaina is the old whaling town and now boasts great shopping and impressive restaurants and nightlife. The nearby resort areas of Kaanapali and Kihei/Wailea/Makena draw crowds year around to their pristine beaches. Maui is probably the best island for a variety of accommodations in different price ranges. We know the hotels and condos and we have toured and experienced most of them. Just ask us! If you have spent time on other Hawaiian Islands, your first visit to Molokai may be a bit of a surprise. You expected quiet ~ but this quiet? It really is the island for ultimate relaxation. There are, however, a few adventurous things to do. Fishing with locals is always interesting or how about a mule ride down the steep cliffs to Kalaupapa National Historical Park, the very isolated settlement of those inflicted with Hansen’s Disease? This is the most popular activity on Molokai (and the scenery is spectacular, not to mention the fun of a mule ride. How often do you ride a mule?). Ranching is still a way of life on Molokai. You can learn to rope cattle with an island ranch hand. There are miles of open wilderness and tide pools teeming with sea creatures. Cloudless nights make it possible to view a blanket of stars unmarred by the glow of city lights. So you think you have seen it all. Think again! Round out your Hawaiian travels with a new experience ~ Molokai! Lanai used to call itself the Pineapple Island, and rightly so. The entire island used to be a plantation owned by The Dole Pineapple Company. Lanai is now accessible to the public and is phasing into tourism. So, Lanai is changing rapidly just like many areas of the world we know and adore. But it is still unique. One of the smallest islands, it really has a lot going for it. Beautiful Manele Bay (Bill Gate’s wedding site) has everything you could ever yearn for in a tropical vacation ~ golf on two challenging courses, snorkeling in crystal clear waters at Hulopoe Beach, and a world class resort with excellent services. Usually you will have lots of sand to yourself. The beach is long, wide and unpopulated in spite of the luxury hotel and hordes of snorkelers invading daily. Other water sports include scuba divind and deep sea fishing. A special treat is wathiching spinner dolphins frequenting these waters almost daily. See it now before it changes even more! We also appreciate Koele set on the cliffs above Hulopoe Bay. There is a golf course that is hard to describe — awe inspiring vistas across the channel to Maui and Molokai, really a one of a kind experience. This course roams across several hundred acres of natural lava outcroppings, with plunging ravines and native trees as hazards. Hiking is also a perfect pastime. What more can we say? Again, if you have experienced Oahu, Kauai, Maui and Hawaii, why not try something different? Lanai may be just perfect for your next getaway. This is such a brief overview of Hawaii. 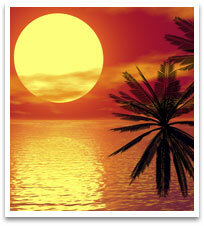 We have all traveled to the Hawaiian Islands, and each time we discover something new. You will too! These diverse islands deserve experts like us to help you plan your vacation. We know the best tour operators to help with lower airfares, and our first hand knowledge of each island is more valuable than any guide book or internet site. Come talk to us — we will share our knowledge with you. If traveling within 24 hours or over a weekend, you may contact our 24 Hour Emergency Reservation Service at 1-800-639-8194. 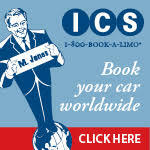 Please be advised there is a service fee for calls made to this service. Ready to Plan your dream vacation now? Visit our personal Virtuoso site. Proper identification while traveling is more important than ever. Bainbridge Travel is pleased to recommend Travisa to help expedite your passport needs. Copyright © 2019 Bainbridge Travel. All Rights Reserved.